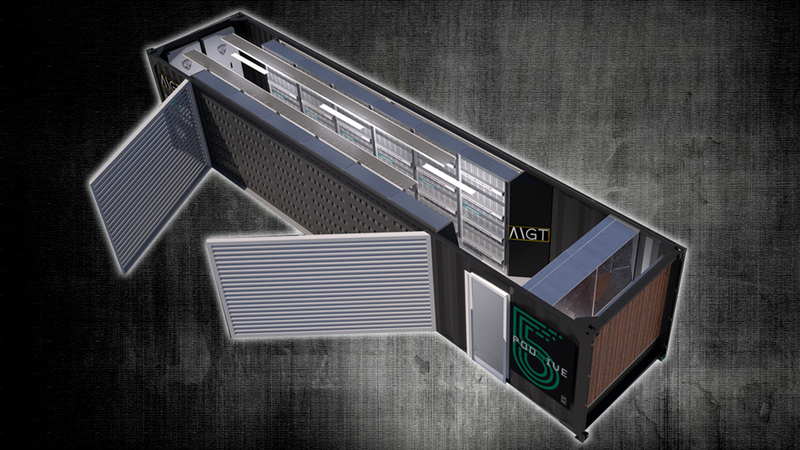 DURHAM, NC, August 14, 2018 — MGT Capital Investments, Inc. (OTCQB: MGTI) announced today it entered into a collaborative venture with Bit5ive LLC to design and manufacture a crypto mining pod capable of operating 1MW of mining hardware. The pod will be branded and sold by Bit5ive as POD5, with MGT retaining naming rights for its corporate owned pods. In return for royalty payments from Bit5ive, MGT is providing its engineering and design expertise as well as capital to develop the final production model. Orders are expected to begin in mid-September 2018. Robert Collazo, Founder and Chief Executive Officer of Bit5ive stated, “The 1-megawatt pod idea was borne from interest of our customer base that was looking for a solution offering greater density within the container form factor. With the collaborative efforts of our team and MGT, we have designed an excellent configuration for a turnkey container requiring minimal setup effort to allow for quick mining startup.” Further information about POD5 can be found at Bit5ive.com. Sales inquiries should be addressed to POD5@Bit5ive.com.